KATHMANDU, Jan 6: Nine opposition parties including the main opposition, CPN-UML, which are up in arms against the constitution amendment bill, have started staging a ‘huge’ demonstration in the capital on Friday. They have claimed that people’s participation in the demonstration, which is being organized to pressure the government to withdraw the bill, will be historic. At a press conference organized at the UML headquarters, party Chairman KP Sharma Oli said that the Friday’s demonstration would give a clear message that the people stand for nationalism. 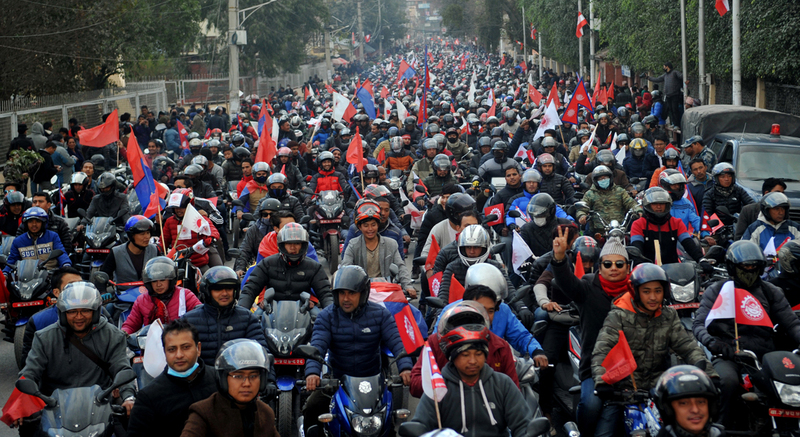 Yesterday, the CPN-UML organized a motorcycle rally in the Capital City as a part of the protest against the constitution amendment bill. 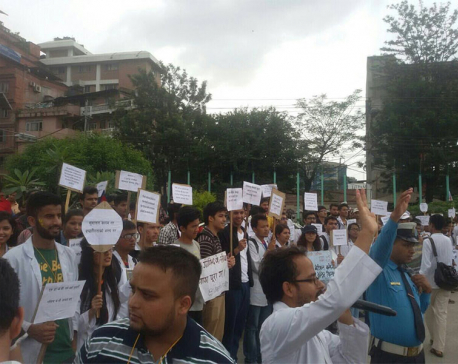 The rally was taken out on the eve of the protest assembly slated for today. Chiefs of all nine opposition parties are scheduled to address the capital-centric protest assembly. Proest rallies which will start from 40 different places in the capital will pass through Ratna Park, Bhdrakali, Sundhara, New Road, Bagh Durbar, Putalisadak before converging into a protest assembly at Bhrikutimandap, according to Bhattarai. The protest assembly will be held at 1 pm. Meanwhile, traffic in Kathmandu has gone haywire as UML’s protest rallies have already started.